Since gaming coverage isn’t a big focus of ours, I didn’t stop by too many booths at this week’s Gamescom event to chat up the staff, but I made an exception for MADFINGER Games, makers of some of the best-looking action-filled mobile games on the planet. It all started with Shadowgun, a game that at its launch offered outstanding graphics along with great gameplay. While the graphics didn’t quite reach console levels, they sure came close, and was made all the more impressive that they were on a mobile platform. 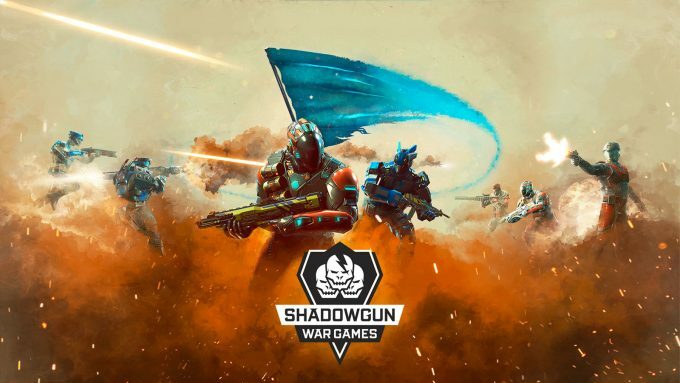 A few months ago, the company released its latest Shadowgun iteration, called Legends, but the developer clearly been very busy working on the next one as well, now revealed to be War Games. I took a seat at MADFINGER’s booth at Gamescom, and played the game on an iPad against a handful of other press – and naturally, I was awful. Fortunately, the game offers gamepad support, so don’t fret: you don’t need touch when the game finally launches. As a mobile game, you might want to lash out at me for this not being a PC-focused post, but, the game impressed me enough to want to talk about it. Plus, I simply love developers that try to push hardware to the limits (because it’s all too rare on mobile). War Games is really tailored for eSports players, and aims to deliver super-fast and tight gameplay with the launch mode being Capture the Flag – an absolute classic. Uttering the phrase “Capture the Flag” makes me think of certain maps from the classic Unreal Tournament, and I admit I got some UT vibes while I was playing, although War Games is probably more comparable to more recent titles like Overwatch and Counter-Strike: Global Offensive. At the very least, you will have multiple classes to choose from, so there will probably be such thing as a “perfect” team configuration. More classes will roll out over time, enhancing the number of ways players can take out their opponents. This is actually as much as we really know about War Games for the time-being. 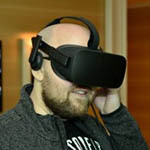 The game isn’t set to launch until next year, so the company surely has a lot more to reveal before we reach that point. I am not the best mobile shooter player, but I can vouch for Shadowgun games being a ton of fun while on-the-go, or even while kicking back at home. The company received a Gamescom award for the best mobile game, so I’m getting the impression I’m not alone in that thinking.